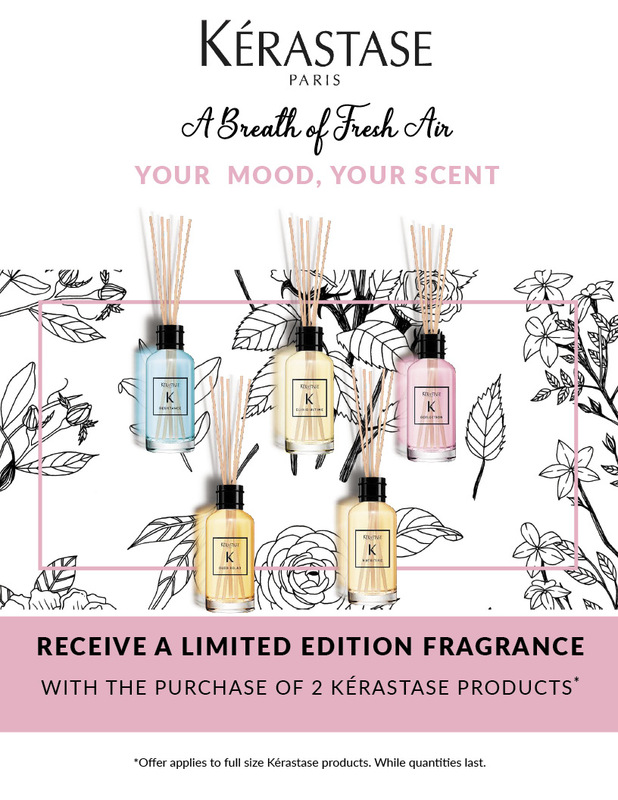 Receive a limited edition fragrance with the purchase of 2 full size Kerastase products. *Offer applies to full size Kerastase products. While quantities last.